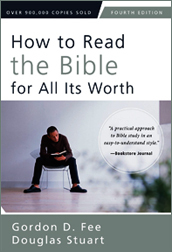 I have recently been revisiting a classic book that Wendy & I both read back in our early college days at Prov: Gordon Fee & Douglas Stuart’s excellent How to Read the Bible for All its Worth. To be honest, both of us recall feeling like we “had to” read the book, back in the day. It was on our “required reading” list as a text, after all. Neither of us realized at the time what a true gem this book was and is (now in its fourth edition).College students tend to be like that, including Bible college students: we think we already pretty much know everything, and are only there to brush up on a few things. Usually by our senior year, we’ve realized how much we still need to learn. Life-long, as it turns out. I am amazed at how exciting this book is to me. You’d think a book like this would be mentally filed under “a helpful resource” (which it most definitely is! ), but “exciting”? Yes, actually. I’m thoroughly enjoying reading it (even reading parts of it out loud to Wendy — “hey, listen to this!”). And I would heartily recommend this book to anyone who seriously wants to dig deeper into the Scriptures. You don’t have to get a degree in theology first before this book is of any use. In fact, the opposite is true. Of course, one of the many things that Fee & Stuart invest time in explaining is the whole concept of “context” (how any given verse is part of a larger section which gives clues to understanding). This is important, because there have been far, far too many people who have ripped a single verse — or even just a partial phrase — out of its original context and created all kinds of wacky (and at times destructive) teachings. As the saying goes: “A text without a context is only a pretext” (clever, eh?). Which got me thinking about a certain passage of Scripture that has a tendency to cause people’s blood pressure to spike just by mentioning it. Unpacking this passage is usually done to the soundtrack of people sharpening long knives if you dare to step in any of their sacred cow’s droppings. You know, that passage in Ephesians that talks about wives, husbands, and submission. (Did your muscles just clench slightly when you read that sentence?) 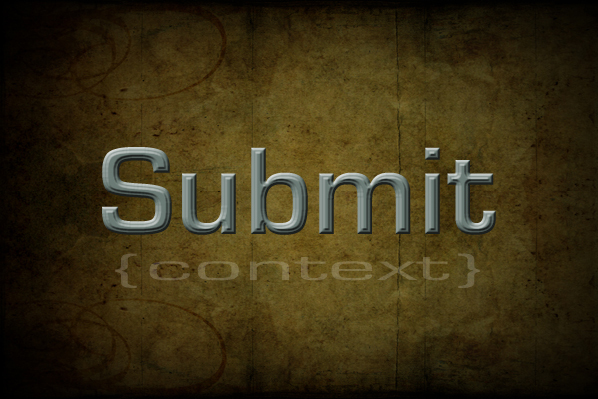 We all want to immediately dive in with our explanations of what “submit” means and doesn’t mean, etc., don’t we? But let’s back up for a second. Context, remember? The passage has what I would like to call a “thesis statement”, which is the main point of the passage. Everything else is an explanation of how Paul’s main point is worked out in our relationships. Paul has just been talking about what it looks like to be “filled with the Spirit” — something we all need and want. Read it again. Ponder it for a moment. Recognize that it’s not just randomly placed there between verses 20 and 22. This is included in Paul’s teaching on what it means to live our lives “filled with the Spirit”. We submit to each other because of our deep, reverential respect for Jesus. Paul is providing this “thesis statement” before spelling out what that looked like for the 1st century Ephesian church (which had its own unique historical and cultural setting and issues). Paul then goes on to give some examples of what that looks like for kids. “Okay, kids, now listen to Uncle Paul: this is how you submit to your parents out of reverence for Christ.” And then he immediately turns to the fathers (I guess the mothers were doing a decent job already? ), and reminds them (like the Berenstain Bear‘s father), “Now, Small Bear, this is how you should not do this.” Again, Paul is giving them examples that support his thesis statement. And Paul concludes the section with some timely advice for slaves (indentured servants) and their owners/employers. How does their reverence for Christ play out in their working relationships? We need to recognize that this is all one section, a single discussion: it’s not fair to separate the parts about husbands and wives from the words to fathers and children, or from workers and employers. It’s all part of the same discussion, stemming from Paul’s original thesis statement for living life “filled with the Spirit”. Context. What a game-changer. Get Fee & Stuart’s book. Highly recommended.